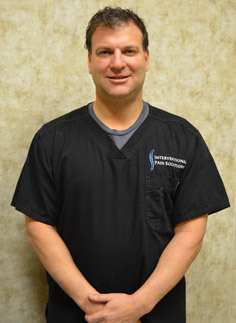 Dr. Lipman is the Medical Director for Interventional Pain Solutions, a pain management practice that treats patients who suffer from severe spine pain and other types of neck, back and joint pain and limb pain. After completing a residency in anesthesiology in 2005, he has enjoyed living and working in Redding primarily as an anesthesiologist until 2010. Throughout this experience, Dr. Lipman has been aware of the underserved population in this area who suffer from severe neck, back and joint pain. Dr. Lipman is very passionate about helping these patients feel better through inter- ventions that can help relieve the inflammatory and mechanical processes involved in many types of pain syndromes. Most of the procedures listed below are performed at the outpatient surgery center. If required, the patient is given light sedation for the procedures. A more detailed explanation of all procedures performed is given during the office visit. 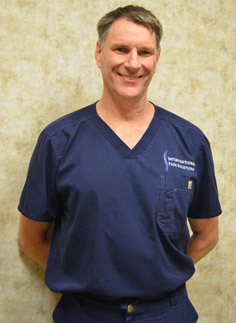 Dr. Michael Gasman grew up in the Northstate and attended Mercy High School in Red Bluff and UC Davis before medical school at Creighton University in Omaha Nebraska. He trained in anesthesia and pain management at Naval Hospital Portsmouth Virginia and then served in the Navy for an additional four years stationed in Bremerton, WA and aboard the USS Nimitz. He also provided pain management to the Navy community in the Northwest. Dr Gasman returned home to Redding and after 15 years at Mercy Medical Center in Anesthesiology is happy to be practicing pain management with Dr Lipman and staff at Interventional Pain Solutions. He lives in Redding with his wife and their two children; he has two daughters living and working in Seattle. Dr Gasman's non-work interests include homebrewing beer, tinkering and mountain biking. Jordan Frazer, NP-C has moved up the ranks in medicine - first working as a Certified Nurses Aid and then Emergency Medical Technician. He graduated Nursing School from CSU, Chico and started working as a Trauma ICU nurse. He eventually transitioned to the Emergency Department and then certified as a Flight Nurse operating out of both fixed and rotor-wing aircraft. He graduated, with honors, from Graceland University in Independence, Missouri with a Masters in Nursing and concurrent training as a Nurse Practitioner. After becoming Board Certified in Family Practice and working in that role he became interested in Pain Management and joined with Dr. Lipman in early 2016. He currently lives in Gridley with his wife and daughter on a small farm. He enjoys rural living, cooking, home-brewing beer, hunting, and his family. He still has a passion for Emergency Services and volunteers with Butte County Fire as a firefighter. Jared Smith is a Redding native, graduating from Enterprise High School. He attended Oregon State University, graduating with honors with a bachelor's degree in biological sciences. In 2003 he obtained his master's degree in physician assistant studies at Oregon Health Sciences University in Portland Oregon. 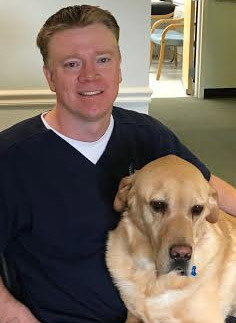 His experience includes several years working in emergency medicine, general orthopedics and ten years working with a orthopedic spine surgeon. 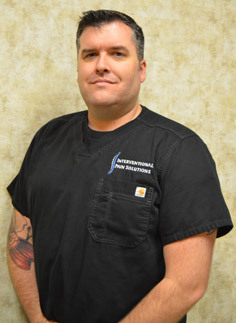 Jared joined Interventional Pain Solutions in 2015. He values patient education and communication, ensuring that patients play an active role in their healthcare. He is passionate about incorporating exercise, diet and lifestyle management strategies in the overall treatment of the patient. When he is not working, Jared enjoys everything that the beautiful north state has to offer. He spends a great deal of time with his wife and two sons. He enjoys traveling, sports and is an avid reader.